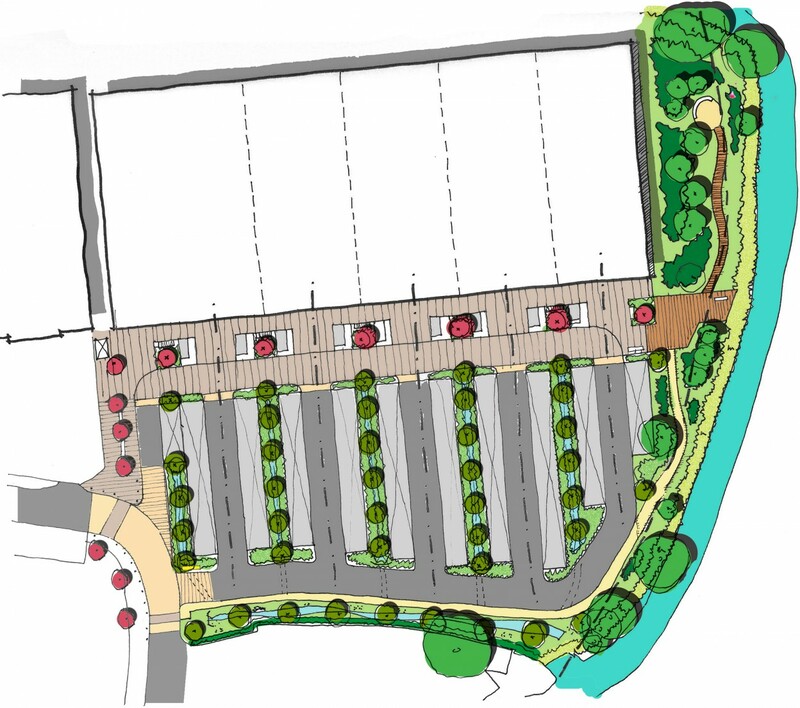 Influence were appointed by Lothbury Property Trust to develop a landscape design for Dolphin Way, a new retail area on Southampton Road in Salisbury, including public access improvements to the banks of the adjacent River Bourne. Our landscape concept reinforces the riparian boundary (where the land meets the river), by introducing native structural planting that continues along the retail street. We addressed the SUDS (Sustainable Urban Drainage Systems) requirements by breaking up retail tenants’ parking bays with rain gardens. Meanwhile, along the river corridor, we established boardwalks and gravel paths to create a more natural experience for people at the water’s edge. 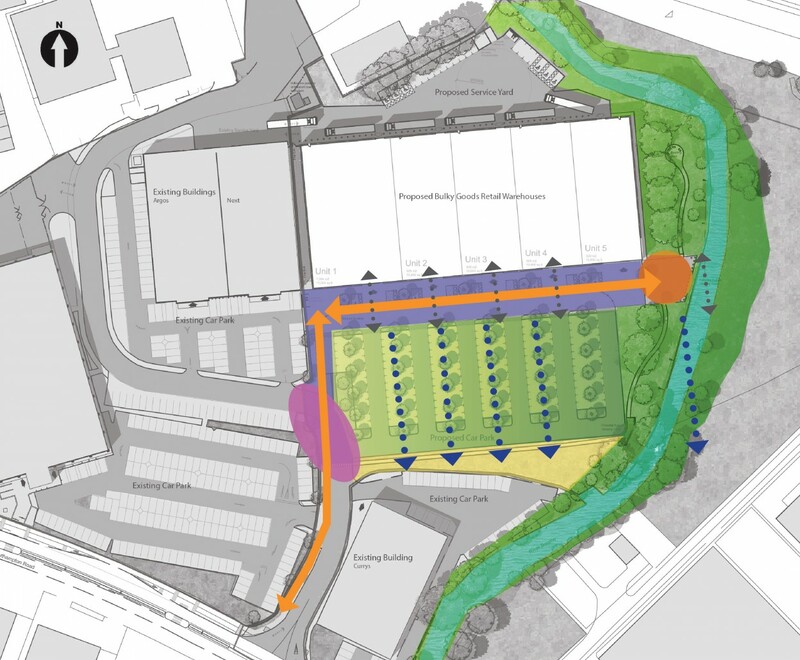 Our planting strategy provides ecological enhancements across the site, addressing the transition from the green corridor to the retail park. In doing so, we made sure the site was awarded the necessary BREEAM credits for responsible sourcing.